In this study we are discussing the importance of Shabbat. As Jews we understand that Shabbat observance is a command to us from HaShem that we are to observe throughout our generations (Exodus 31:13). In this piece we will consider how to honor Shabbat. As always, I am sharing my own views here. If there are questions always check you local Orthodox rabbi. As discussed in the previous section the essential nature of Shabbat is remembrance, rest and goodness or Shin-Bet-Tav (Exodus 20:8). Shabbat observance should not therefore be burdened with unnecessary rules and regulations. Its a day of freedom not drudgery. There are however a number of traditions that have sprung up around proper Shabbat observance over the past thousands of years that we do well to understand and consider adding to our practice. These traditions enhance our observance and sweeten the holy day. Gradually adding from these traditions and developing our own enables us to establish family and shul (congregation) traditions that more fully empower us to celebrate the goodness of HaShem's Shabbat. Much of what follows is based on tradition rather than biblical commandment. Tradition is very important in Judaism. Such traditions make Shabbat all the more meaningful as we offer ourselves and our loved ones up to G-d our Creator, the King of Shabbat. While it is preferable to live and worship within a Jewish community, many people do not have this option for one reason or another. Their ritual observances are therefore performed at home alone or with family and friends. Fellowship is of course important but observing Shabbat properly is not dependent on others being present. Proper observance can take place in the company of millions or in the privacy of ones own home. HaShem knows our hearts. It is recommended that all Jews welcome Shabbat on Friday evenings (beginning 18 minutes before sunset) with a traditional meal as discussed below. Then on Saturdays enjoy a leisurely breakfast and then read and discuss the weekly Parsha (See the Weekly Parsha schedule and Chabad's commentaries for more on this). The important thing is to acknowledge and honor Shabbat from your heart. As you read the following please bear this in mind. Better a simple and sincere acknowledgment of Shabbat from ones heart than a grand theatrical display in a lavish synagogue where there is no love of G-d (Amos 5:22). HaShem looks at the heart not at outward appearances (Micah 6:6-8). It is nice to have beautiful ritual items, but such things are not what Shabbat (nor Judaism) is about. In time your collection of Judaica will no doubt increase but don't stress over it nor go into debt purchasing material objects as though they might make your worship more acceptable to HaShem. He wants you not gold candlesticks! Don't follow excessive stringencies in your practice of the Torah. "G-d does not rule over His creatures with tyranny" (Avodah Zarah 3a) - "The Torah was not given to ministering angels" (Berachot 25b). Our rabbis have taught that it is proper for each person to choose for himself one mitzvah to observe with particular care in all its fine details (Shabbat 118b). Yet even with your chosen mitzvah, you should not be excessively strict to the point of folly. Don't let it make you depressed. Simply try to keep the mitzvah carefully in all its finer points, but without excessive punctiliousness. There is no need to look for extra stringencies: this is foolish and confusing. The essence of serving G-d is simplicity and sincerity. Pray much, study much Torah and carry out many good deeds without seeking out or inventing unnecessary restrictions. Simply follow the path of our forefathers. "The Torah was not given to ministering angels." There is nothing that you absolutely must do or else. If you can, you can. But if you cannot: "G-d exempts a person under duress" ( Bava Kama 28b) -- Rebbe Nachman, Sichot Haran #235. So honor Shabbat from your heart with sincerity. HaShem will accept you. Marking the beginning of Shabbat is important whether at a shul (synagogue) or in ones home. All Shabbat times are local. By 2 or 3 o'clock on Friday afternoons begin turning your thoughts expectantly towards Shabbat in preparation. The Queen of HaShem will soon arrive at your home to be your honored guest! How exciting is that? Everything should be ready and in order to receive her properly. Homes should be dusted, dishes washed and put away, showers should be taken, nice clean clothing laid out to be donned shortly before sunset to welcome to honored guests. There is so much to do! Friday afternoons tend to be joyously hectic times in Jewish homes. Tradition tells us that when we properly honor Shabbat the holy angels, the Patriarchs and even HaMashiach himself may come to join us to share in our joy. There is no set check list to follow on this. Simply ready your home to receive the honored guests and honor the day with sincerity and love. Observant Jews will not light a fire on Shabbat as it is regarded as one of the 39 prohibited actions according to Orthodox halacha (numbers 36 and 37 on the list from the previous page). Most Orthodox Jews consider the use of electricity as 'lighting a fire' and hence will neither turn on nor off any electric appliance on Shabbat. Not all religious Jews agree with this Orthodox ruling by the way. For those who observe this mitzvot preparing the Shabbat meals can be a bit more challenging! Most agree that a slow cook pot can be allowed to shimmer as long as it is lit before Shabbat begins and left on for the duration. In such cases, the 'fire' must not be interfered with on Shabbat and the temperature must not exceed a certain limit. One can also purchase kosher Shabbat hot plates. There are certain Orthodox guidelines governing this and one should check ones Rav for local minhag For those not cooking on Shabbat, meal preparation for the Day must be completed prior to sunset. Some choose to eat pre-made sandwiches, salads and so forth on Shabbat rather than cook. Such traditions must be determined by you and your household, preferably with rabbinic consultation. Do consider however that Shabbat is the day of rest for all members of the household and slaving over a hot stove for hours is not very restful. As your level of observance gradually increases you will determine these sorts of issues for yourself as HaShem leads. 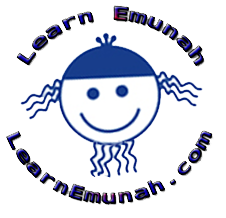 Abstaining from (or safety manipulating) electricity, fireplaces, automobiles, central heating and air conditioning and so on can be powerful builder of personal and family emunah (i.e. active faith). Observe whichever mitzvot you observe from your heart with humility and gratitude. One of the things that should be prepared before the beginning of Shabbat are the two loaves of challah (Sabbath bread). Challah can be made at home or purchased from a bakery if one is available that does this. You will want to include two loaves challah when welcoming Shabbat. Prior to the 1400's the loaves were known as berches. The name challah came into common usage in South Germany, Austria and Bohemia during the Middle Ages. The word challah is derived from a Hebrew word meaning portion (i.e. the priests would offer a challah or portion of the lechem haPānīm to HaShem: see I Chronicles 23:29 etc.). Note that this "Showbread" or lechem haPanim literally means "Bread of the Presence"). As Klal Israel was wandering in the desert HaShem provided them with manna (Hebrew: "What is this stuff?") to eat. The Day Six (Friday) portion of manna was miraculously doubled because gathering was forbidden on Shabbat. This is why we use two loaves of challah on Shabbat, to remember how HaShem fed our ancestors with the double portion of manna. The two loaves are covered with a Challah cloth to remind us of how the dew covered the manna (see Rashi on Exodus 16:13, quoting Mechilta, Yoma 75b). The braiding reminds us how life in the Olam HaZeh (the world as it now is) is intertwined with the Olam Haba (the eternal Shabbat in the world to come). On Shabbat we taste the sweetness of the Olam Haba. Most traditionally the two loaves are composed of six braided strands (although 3 braids are also common). With the traditional six braids and two loaves of challah on our table we are ready to remember the symbolism of the twelve loaves of showbread (i.e. with 6 braids in each loaf) that were placed on the Table in the Temple sanctuary. As with most of our traditions there is a lot of fascinating history around this topic that one can research. When it comes to making challah and other foods, practice and Customization makes everything better! Combine warm water, 1/2 tsp white sugar, and yeast in a measuring cup. Let stand until the yeast dissolves and starts to foam, 5 - 10 minutes. In a large bowl, beat 2 eggs. Separate 2 eggs, putting the egg yolks in a 1/3 measuring cup. Add enough milk to equal 1/3 cup including the yolks. (set the whites aside). Pour this into the bowl with the two whole eggs. Next pour in the yeast mixture, butter, salt, and remaining sugar. Optional: add cinnamon etc. at this point. Gradually mix in the flour until the dough is firm enough to handle. Knead the dough well on a floured surface until the dough does not stick to your hands. You will probably need a bit more flour while kneading. If the dough is too dry kneed in a tiny bit of warm water. Place the dough into a lightly oiled bowl and turn to coat. Cover and let rise until doubled in size, about 1 - 2 hours. Divide the dough into 2 even portions. Roll each portion into 3 or 6 long ropes, spinning them gently. Press one set of ends together. Braid these, securing the bottoms to the other ropes. Do the same with second portion of dough. You now have two loaves of braided challah. Place a sheet of parchment paper on the bottom of a baking sheet. Coat lightly with oil or Pam. Place the loaves in the baking sheet and cover loosely with plastic wrap or a clean cloth. Set in a warm place to rise about 1 hour. The challah is ready to bake when your finger leaves an impression in the dough. Whisk the remaining egg whites in a small bowl. Brush over one of the loaves. This will give the bread a lovely golden color and delicious crust. Optionally: use a whole egg for this. Coat the second loaf in melted butter, sprinkle lightly with brown or white sugar. Add raisins or nets etc. to taste to make more festive. Bake the loaves at 350 degrees until the loaves are golden and sound hollow when tapped on the bottom, about 35 minutes. Remove from baking sheet and cool on a wire rack. Omit the milk and butter when having meat. It will still be great. Always follow your local minhag of course. 1. Place a donation in your tzedakah Box. 2. Perform netilat yadayim (i.e. wash your hands according to the rite) without reciting the blessing. This is a good time to recite personal prayers. 5. Safely burn the removed piece (not in the oven) and discard it. In time your family will develop its own traditions that will inspire you all as you gather around the Shabbat table each week. The specific foods to be eaten on Shabbat are up to you within the limits of normal halacha Eating traditional Jewish cuisine helps to maintain mindfulness of who we are as a people and where we've come. Remember that Judaism is more than a religion, its a way of life, an extended family that has endured for thousands of years. The Shabbat meal is the shared table of our family. Those who convert to Judaism are already at a disadvantage culturally. Gradually incorporating Jewish traditions like music, cuisine, apparel, and so on can be very helpful in establishing ones Jewish identity. This includes regularly wearing a kippa (yarmulke or Jewish skull cap), tallit katan (a special kind of Jewish undershirt that contains tzitzit or fringes (Numbers 15:38) and so on. While such items are not generally required in non-Orthodox communities, adopting these traditions, especially on Shabbat, can help establish a more solid Jewish paradigm for converts and born Jews alike (this only applies to Jews. Non-Jews should not wear these items). For Jews, Shabbat is great time to take on additional mitzvot. On Friday afternoons everyone available should joyfully chip in with the preparations to ensure that everything is in order to welcome Shabbat. Whatever the meal, love is always the chief ingredient because this Shabbat perhaps "angels unaware" or even Mashgiah himself may come to the door offering fellowship. One should always be prepared to receive unexpected Sabbath guests and blessings! It is in part for this reason that friends and strangers alike are often invited to partake in the welcoming of Shabbat and its principle meal. With everything readied one will be prepared to welcome Holy Shabbat properly. Begin your Shabbat preparations in time to light the candles no later than eighteen minutes before sunset. Your Shabbat candles or oil lamps need to be lit before the sun sets. That's the important thing. Those who follow Orthodox Halacha do not light fires (including candles and oil lamps), use electricity etc. on Shabbat. The candles are therefore lit (18 minutes) before sunset to respect this tradition whether one observes Orthodox Halacha or not. The candles or oil lamps must be lit before the blessing is recited since once the blessing is uttered Shabbat is considered begun (and fire is thereafter prohibited for the duration). Reform and Conservative Halacha generally permit the use of "fire" on Shabbat and yet the 18 minute rule should be honored. Jews use two individual candles, a two candled menorah or two oil lights to welcome Shabbat. These represent the two commandments found in the Ten Commandments: zakhor (remembrance) and shamor (observance) as discussed on the previous page. The Shabbat menorah is used to welcome Shabbat and should only be used for this purpose. As Shabbat approaches, gather with others in unity (or alone) to welcome the Bride. This can be done in a shul (synagogue), living room, dining room, park, or wherever you are. Wherever you are HaShem is present. With your table set with candles, challah, wine and good food you, your friends and loved ones will be ready to welcome the Shabbat. In the next section we will look at a few of the rites for Observing Shabbat as we conclude this study.